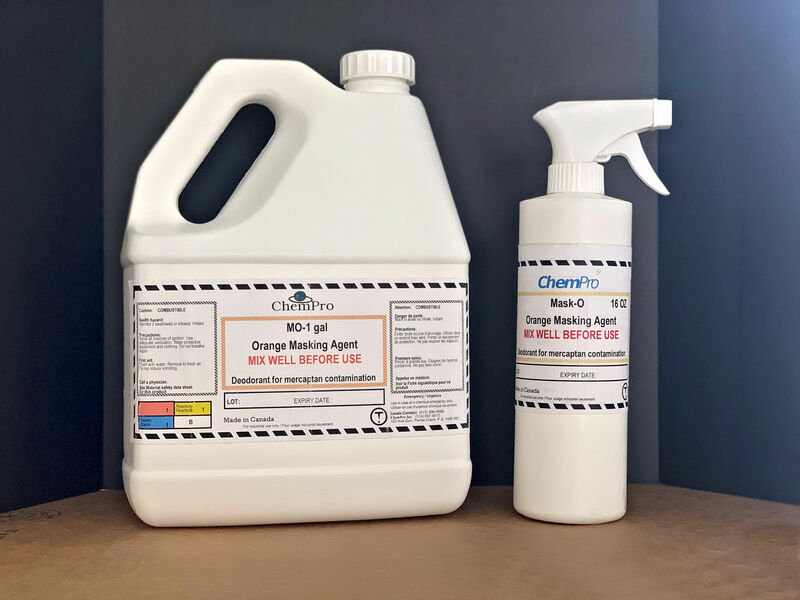 Mask-O is an orange masking agent, rather than neutralizing the odor it conceals the mercaptan smell with a fresh orange scent. Mask-O is an orange masking agent, rather than neutralizing the odor it conceals the mercaptan smell with a fresh orange scent. Orange Masking Agent is available in a variety of sizes from 16-ounce spray bottles up to 55-gallon drums.